This tour is definitely for Lovers and Bird Lovers. At one hand stands the splendid architecture of Love the Taj Mahal and at the other you get to see some of the best known bird sanctuaries in India, especially those of the Northern India. The tour package is built making Delhi as a hub so that one can also go through some of the best respected historical monuments of the region. And the birds, they will just steal your heart from the sky. By the way, there is always a strong relation between birds and lovers. Don't know? Do visit to feel the truth. Upon arrival in Delhi transfer to hotel. Morning drive to Bharatpur (158 kms approx 3 hrs). Afternoon visit inside the park: Every year, with the onset of monsoons the birds converge on Bharatpur to breed. Amongst them are herons, egrets, cormorants, ibis, spoonbills and storks. The migratory birds from Siberia and Arctic arrive with the start of winters. The new arrivals merge with the residents and build their nests in an estimated 50000 trees. On all sides Bharatpur is alive with squawking, eating, nesting, mating and grooming. 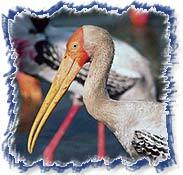 All the days at leisure to explore the world heritage Keoladeo Ghana National Park either on foot or by cycle Rickshaw. The local rickshawalas are experts on birds and are often the best guides. Morning free. By noon drive to Agra (55 kms) enroute visiting Fatehpur Sikri - beautifully laid out capital of the Mughal Empire during Emperor Akbars reign. Overnight stay in Agra. 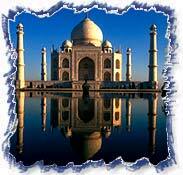 Morning visit the timeless wonder - Taj Mahal, renowned for its architectural magnificence and aesthetic beauty. Afternoon visit Agra Fort and Tomb of Itmad-ud-Daulah also called Baby Taj. (Taj Mahal is closed on all Fridays). Drive to Delhi International Airport and connect flight for onward destination.